Last year, version two of Day One, the popular Mac and iOS journal application, was released with many new features to fit needs different types of users. I’m now pleased to announce one of its newest feature that I never thought would be added to the application. The iOS version of Day One now allows you to publish your selected journal entries into a hardback or softcover book. If you’ve ever wanted to publish a book, this new feature makes it really easy to do so. 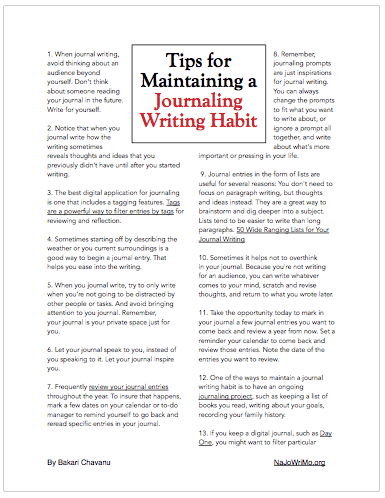 Though journal writing should always be a personal and private form of writing, you might also have a collection of journal entries to share with others, or a selection you simply want to read in another format outside the application. The ability to export journal entries to PDF or publish them as a book is another reason I prefer to use a digital journal over the pen and paper method. Back in 2013, I published book of journal entries using Lulu.com. The book turned out to be 491 pages, and included my Day One journal entries starting from 2011. Publishing the book was easy because Day One allows for exporting journal entries to a PDF format, and LuLu is set up to convert PDF documents into an 8.5 x 11″ formatted book. After I receiving my first Day One book, I also prefer its smaller format, 5.5 x 8.5″, which can be printed in hardback or softcover. Note: Day One for Mac does not include the book printing feature, but you can now export entries to one of three sizes, and get the book published on LuLu.com or another similar self-publishing site. The Day One book publishing is fairly straight forward. A single book allows for up to 400 pages, and you can choose select entries from your Day One by year, filtered tags, or a selected journal. You can also create a new journal and move entries to that journal for the purposes of book publishing. To create a book, go into Settings > Book Printing. And from there, go through the process of creating your book. I provide screenshots below of the process, and add a few tips that might be useful in creating your first book. Depending how how long you’ve been keeping your Day One journal, you can decide to publish your entire journal or parts of it. That process is pretty straight forward. However, you may have some personal entries in your Day One that you don’t want published, so it’s worth taking the time to go back through entries and select or filter by tags the entries you want published. Move or copy those entries to a new journal. In fact, it’s also even better to actually take a weekend or two and re-read your entries to decide which ones to include in your book, and in the process do some final edits for missing and misspelled words, and grammatical mistakes. At any time in the book publishing process, you can edit or remove a draft of a book. Tap the Create a Book button and then select the journal you want to publish. Notice also that you’re given an approximate number of pages your book will be. You can print up to 400 pages. Note, the left screenshot above includes the book I previously ordered. Your ordered books and drafts books are saved in the app. If you have the Maps feature enabled in your Day One, you can select to include or exclude those maps in your book. Before your book is created, you can view a thumbnail view of the pages. You can also select to change it to single page view. The content and layout of your book are uploaded to the printer. Tap the Pay button to finalize the process. The price for publishing a book starts at $14.99 for 50 pages, up to $49.99 for 400 pages. Optional color is $5 and optional hardcover (which I recommend) is $5. Click here for more information. For my first Day One book, I selected all my NaJoWriMo journal entries starting from 2015. As a Day One beta tester, I had the opportunity to quickly publish another book before the feature was released to the general public. That book is a collection of all my 93 journal entries about jazz music. This year, in addition to my regular journaling, I’ve started journaling more about aging, especially as I get ready to turn 60, and what I’m thinking and experiencing during the era of Donald Trump as president. If you’re an avid Day One journal writer, you no doubt have enough entries to publish for your first book. Some other ideas for a book include a travel journal, a collection of entries about the birth of a child, a cookbook collection, a series of entries about a long-range project you’re completing, and of course a collection of National Journal Writing Month journal writing entries. If you have some ideas for a journaling book, please share them below. And let me and Day One know what you think of the new book publishing feature.